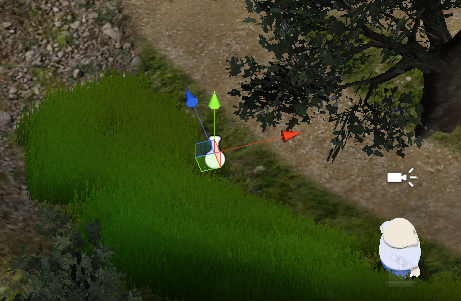 Finding items is always a fun thing in games – we can add items to a scene using Item Collectors. Item collectors can be used in different ways – they can either allow collecting a single item, a random item out of a range of defined items, or work as a box, containing multiple items. While item collectors are components used in the scenes, the general item collection settings are made in the ORK Framework editor. Open it, navigate to Inventory > Inventory Settings and change the following settings. We want items and equipment to automatically stack when added to the inventory. These settings determine how Single and Random item collectors notify the player about the found item. If disabled, there will be no notification and the item will simply be collected. Set to You found %n (%)..
Set to You found % %n.. 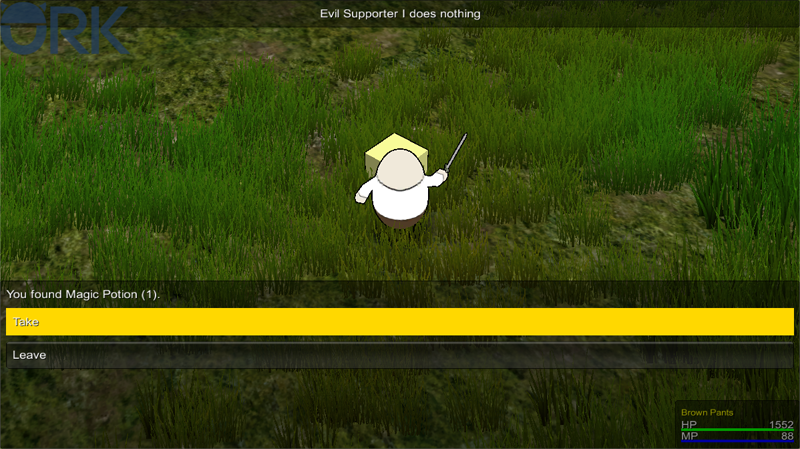 The player can decide to take or leave the item. The item collection will be a choice dialogue – else the Ok and Cancel buttons of the GUI box will be used. These settings handle how a Box item collector displays it’s content. When selecting an item, the whole quantity will be taken without displaying a quantity selection. When enabled, items and equipment of the same kind will automatically be combined in the item box, but we want to display them as they’re added to the item box’ list. Set to This box is empty..
We’ll display a button to close the box. And that’s it for the settings – click on Save Settings and close the ORK Framework editor. I’ve placed mine in the grass beside Blue Pants. Change the following settings in the inspector of the item collector. We’ll be collecting a single, defined item. This should already be set to 0. The scene ID will keep track of the collection state of the item. When not using a scene ID, you’ll have to use game variables to remember collected items. The Item Settings determine the item that will be collected. 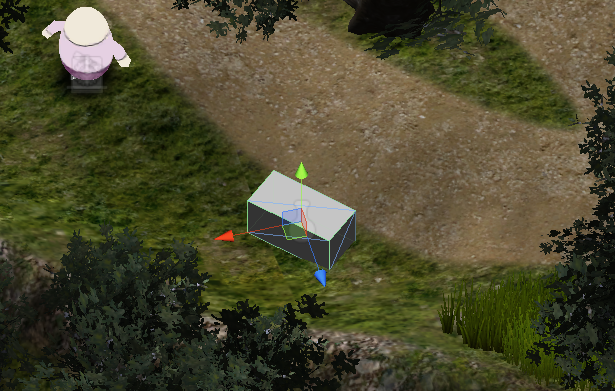 The Prefab Settings can be used to prevent spawning the item’s prefab or add an extra offset when spawning it. We’ll use the default settings, i.e. spawn the prefab. I’ve stretched mine a bit and placed it beside Purple Pants. Change the following settings in the inspector. The item collector will now automatically receive a Box ID – this ID is used to keep track of the contents of the box during the game (and in save games). Box type item collectors sharing the same box ID will also share the same content. Like with the other item collector, the Item Settings determine the items found in the box – but this time you can add multiple items. Change the settings of the already added item. Click on Add Item to add another item. And that’s it for the town – save the scene. Open the field scene (2 Field) and add some item collectors using the scene wizard. Yeah, you’re free to add how many you like, place them wherever you like and set up whatever items you like! Don’t forget to save the scene afterwards. Open the main menu scene (0 Main Menu) and hit play. You can now collect items in the town and field. You can even collect items while fighting in the real time battle area. And that’s it for now – the next lesson will cover camera events.